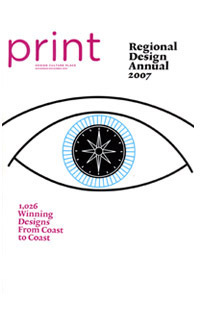 Print Magazine selects elemental as among the best brand and identity developments of 2007 and is included in Print’s Regional Design Annual for New York City. The name and brand identity were developed, incorporating the golden mean, Helvetica typeface, and monochromatic presentation, as informed by a minimalist aesthetic. The primary brand colors – black and white – reference cosmic polarity and equilibrium manifested in light and dark, day and night, life and death, self-destruction and self-preservation, and other opposites. Work was completed in collaboration with Camillia BenBassat.